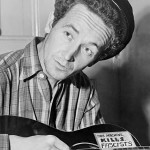 Today in 1967: Folksinger songwriter Woody Guthrie dies in New York City at the age of 55. He had spent the last decade of his life in the hospital, suffering from Huntington’s chorea. Woody called his songs “people’s songs,” filled with stinging honesty, humor and wit, exhibiting Woody’s fervent belief in social, political, and spiritual justice. Tomorrow night, Absolutely Art and Café Zoma host an opening reception for Fiber Tapestries and Wearable Art by Jaroslava Sobiskova and paintings by Larry Price. 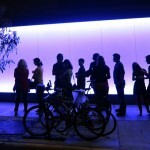 The reception coincides with Gallery Night presented by the Madison Museum of Contemporary Art. This is tomorrow night from 5 to 9pm at 2322 Atwood Avenue. More info at absolutelyartllc.com. 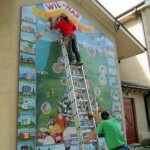 Also tomorrow, the most recent mural directed by Sharon Kilfoy will be dedicated at Centro Hispano. This is tomorrow from 4 to 7pm with the dedication at 5. This project was sponsored by Dane Arts and City of Madison Arts Commission. 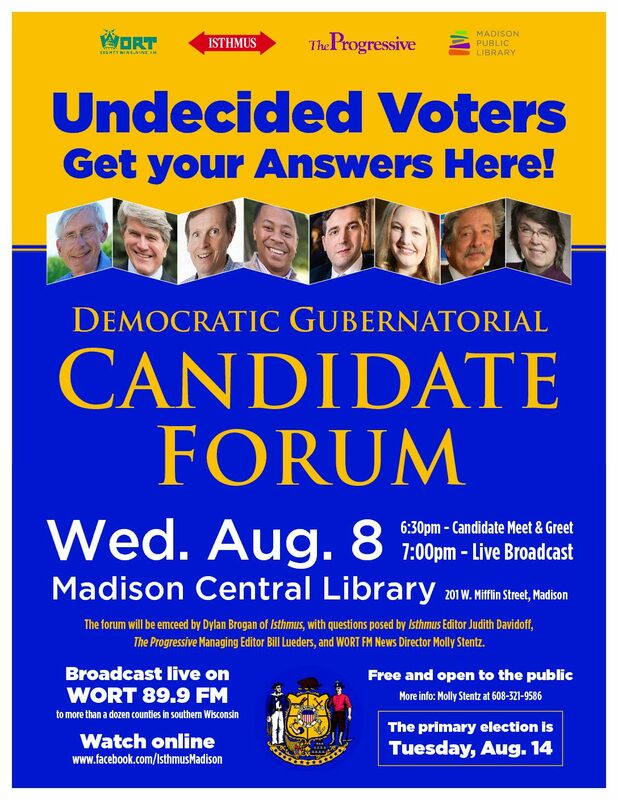 This is tomorrow at Centro Hispano, 810 West Badger Road. For more info, call Sharon at 658-3736. The Goodman Community Center Older Adult program offers a regular calendar of activities and resources for living well for adults age 60 and over. See old friends and make new ones, and enjoy gentle exercise, delicious meals, favorite games and other programs. No reservations or registrations are required for meals and programs. For details, call 241-1574, extension 232, or email marlene@goodmancenter.org.